Congratulations to Sarita and Bill McKnight on their new AFC! 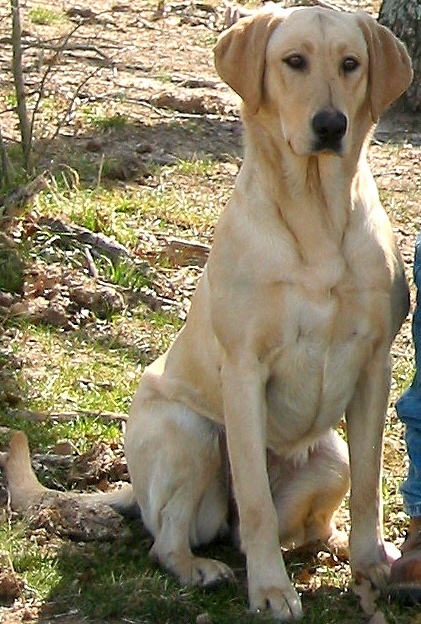 AFC MOONSTONES HAM-MAID MARIAN earned her Amateur Field Trial Champion title by winning the Am at the Central Arkansas Retriever Club Field Trial at Bradford, AR, on March 17. Livvy is out of Bill and Sarah’s FC AFC CNAFC CFC CAFC MOONSTONES HUG AND MOOCHIE and David Aul’s FC FTCH AFTCH TAYLORSLAB MAGIC TRICK MH CD. She earned 38 points as a Derby dog and now has 5.5 Open points and 10 Amateur points with a Win!